Is there any better way to follow through on a big and beautiful proposal than with a gold and bold affair?! 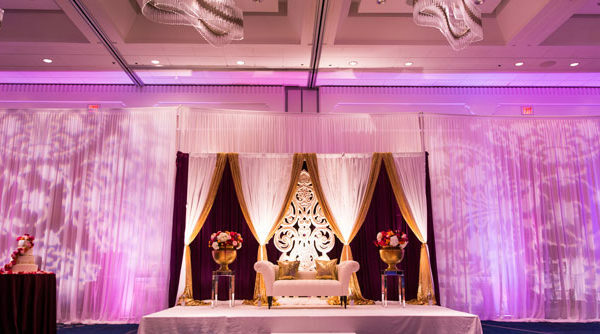 We totally loved executing their vision into reality! As you can see, there’s a regal chandelier in the back drop that is paired with high vases that are in total symmetry with the color on their outfits (spot the gold!). 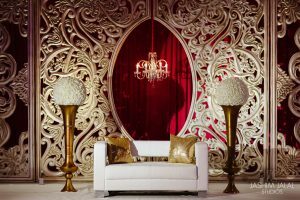 The pops of white that touch the tone of gold strewn in the stage, add delicacy to the boldness of the intricate details. 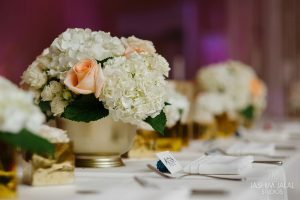 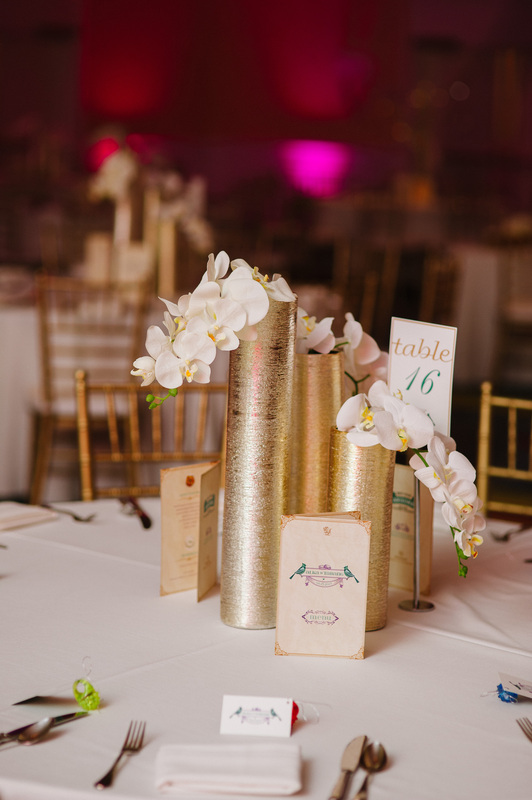 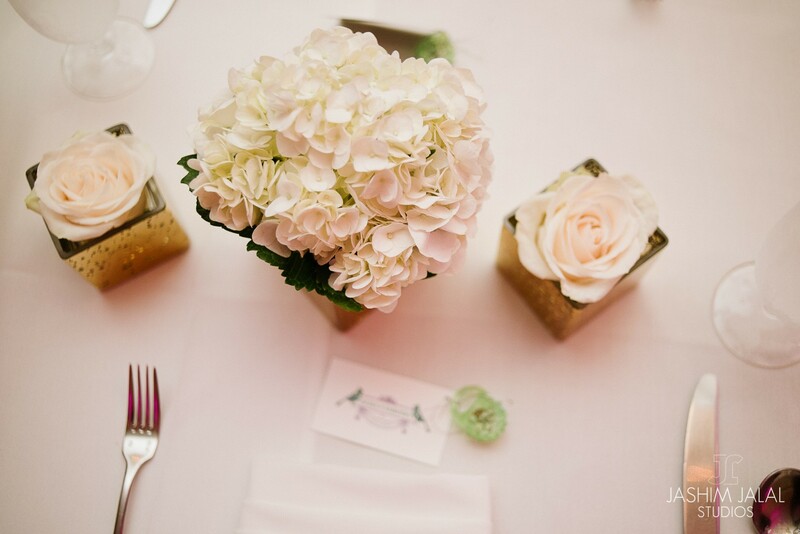 How pretty do the strings of white floral look on the tall, gold vases?! 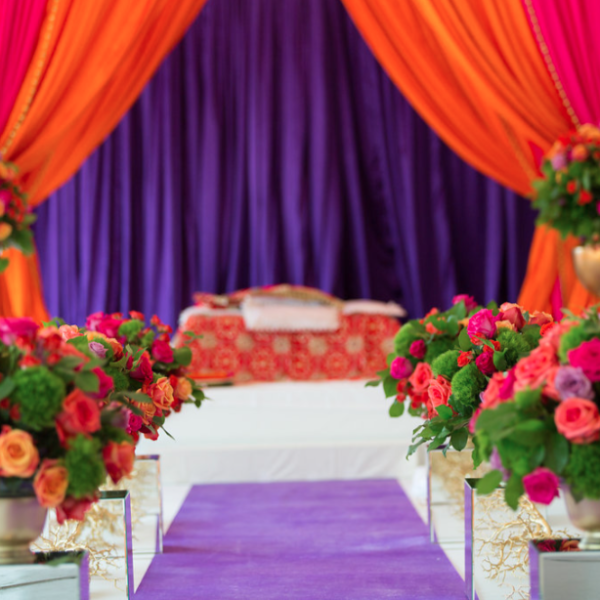 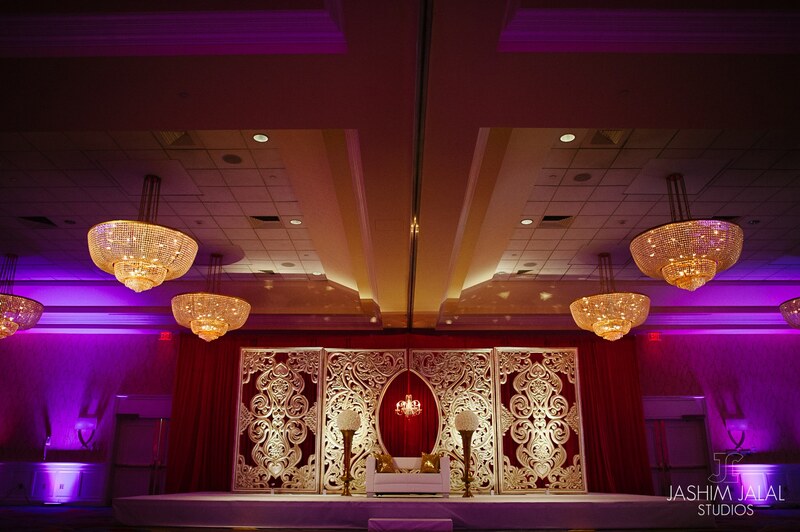 The entire set up was bold yet delicate which provided the perfect balance to the stage. 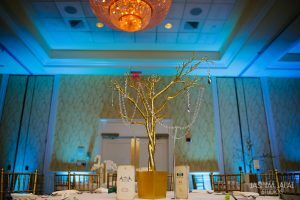 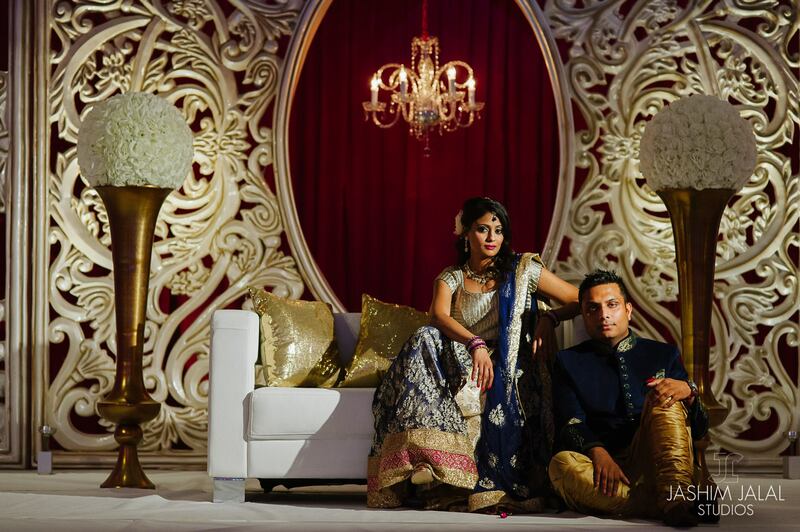 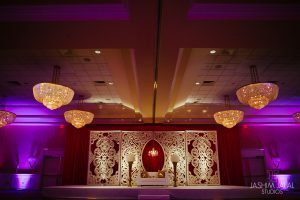 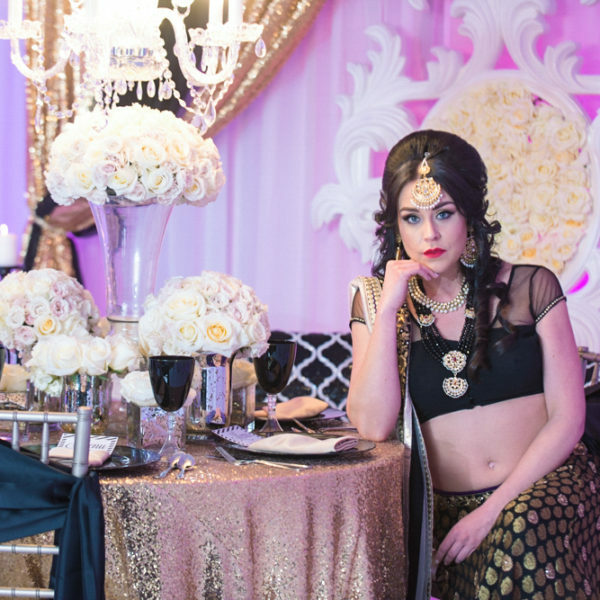 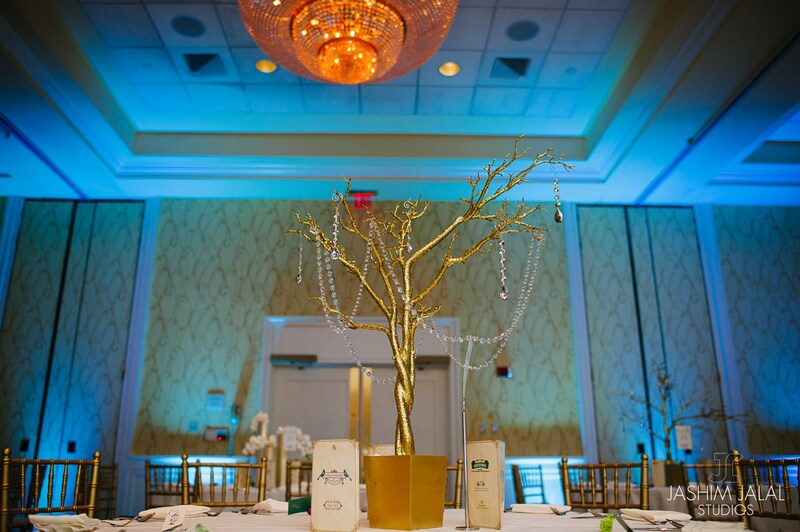 Silk Events does it again with their lighting! There’s no other way to bring out this gold and bold affair other than using a pastel lighting. 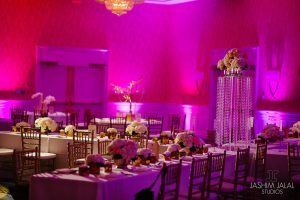 Remember, your lighting should always add the perfect balance to the core of your theme, and always choose colors based on your overall theme, and not just a mish-mash one color to another, that’s why an overall look is critical to your decor. 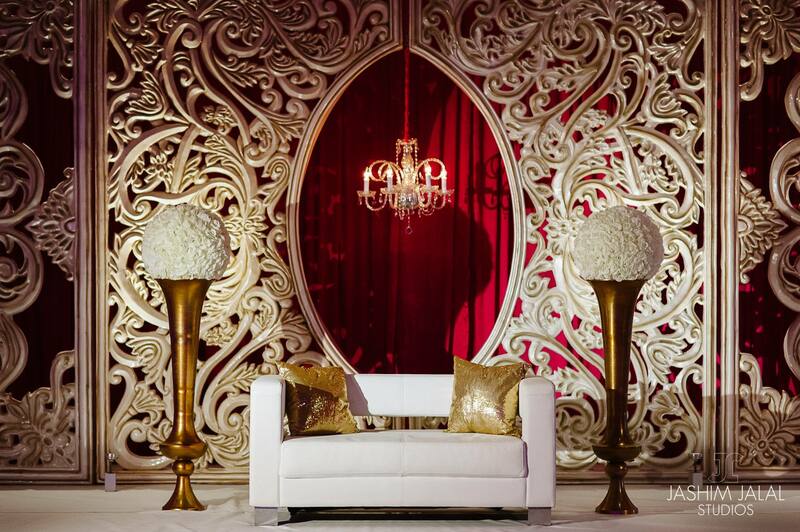 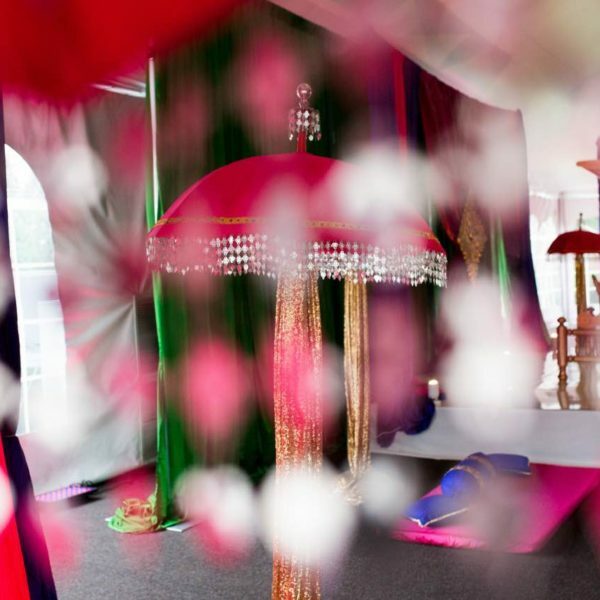 And with the force of Silk Events + Love Decor in one room, that’s the last thing you need to worry!